The new ad (which can be viewed below) features a series of customers questioning what flat white coffees are. The ad eventuates with a McDonald’s employee telling a customer what it is, and that the coffee is now available at McDonald’s in the UK. There is three new directions McDonald’s could be exploring that can be picked up just from watching this one video alone. McDonald’s café products are relatively new to the UK, only first launching in the region in 2013. McDonald’s cafes first originated in Melbourne Australia in 1993. Thanks to a booming coffee culture and demand for less ‘junk’ fast food, McCafes have become a McDonald’s success story in Australia. With McDonald’s struggling in the recent past, it is no surprise McDonald’s UK would want to try something which has proven successful. 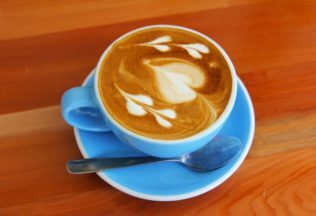 It is no new news that Australia has a unique coffee culture that cities like New York and London started first cottoning onto a few years ago. With Australian-inspired coffee and cafes taking off in such cities, it is also not surprising that McDonald’s would want to introduce an Australian-inspired coffee culture to the UK through its stores. For a long time McDonald’s has catered well to families with its playgrounds, Happy Meals and cheap food options. McDonald’s may however now want to open its focus to young adults with no kids, but more discretionary money to spend on beverages like barista coffee.